This delightful story of an inquisitive youngster who discovers and old factory operated by a Mr. (or Mrs.) Aesop and an assembly line of seven (or more) fablemakers. Some of Aesop's best-known fables including The Ant and the Grasshopper, The Lion and the Mouse, The Tortoise and the Hare and others are enacted as the young boy (or girl) surprises everyone, including himself, with his moral-making ability. 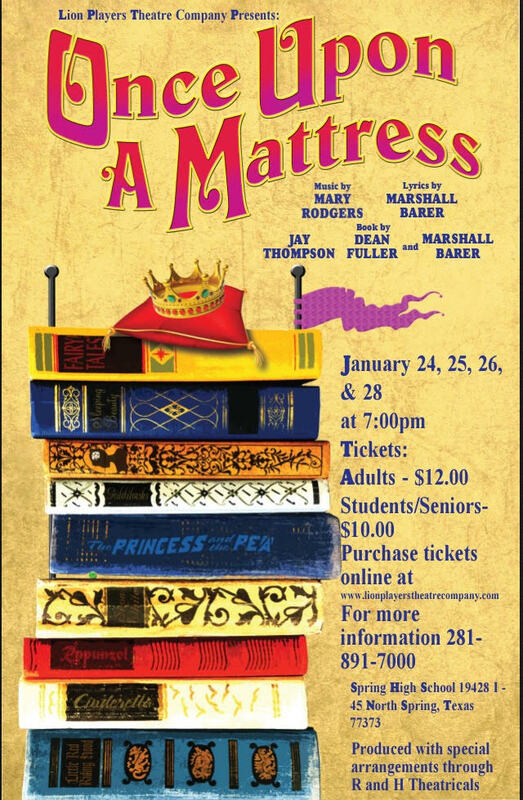 This charming play is a director's delight as it presents ensemble performing at its best. The creative team responsible for a recent Broadway flop (in which three chorus girls were murdered by the mysterious "Stage Door Slasher") assemble for a backer's audition of their new show at the Westchester estate of a wealthy "angel." The house is replete with sliding panels, secret passageways and a German maid who is apparently four different people- all of which figure diabolically in the comic mayhem that follows when the infamous "slasher" makes his reappearance and strikes again. (Not a musical). Congratulations to all who performed! ​and 6 seniors received 45 callbacks from over 80 colleges and universities. Luckily, Sir Harry is able to find an amazing princess, Winnifred the Woebegone. She instantly catches the attention of Prince Dauntless, thus, shenanigans ensue. *On the performance dates when they are not performing as their named role, they will be featured ensemble.